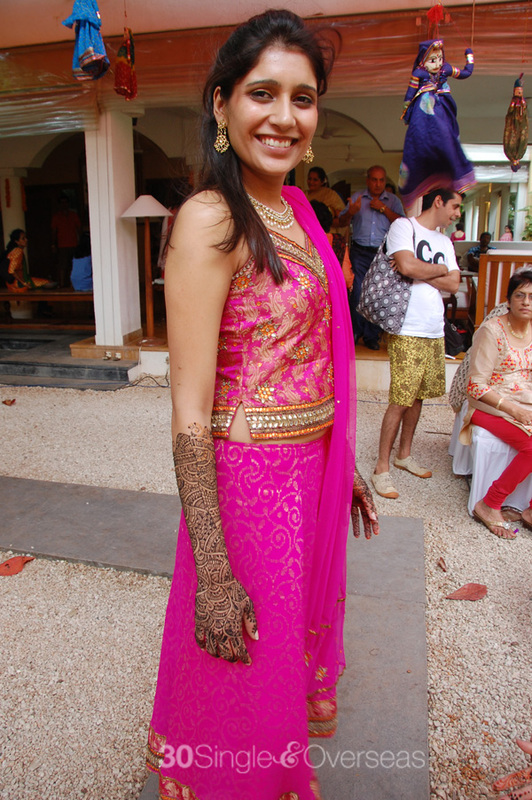 Since my last Indian wedding post, I must have attended (and been involved in) at least 2 more Indian weddings. 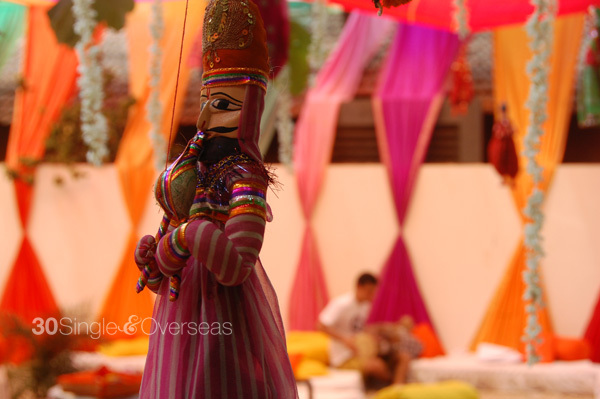 This one was a destination wedding, Sindhi-style, most events were held in Goa and then a reception in Bangalore. 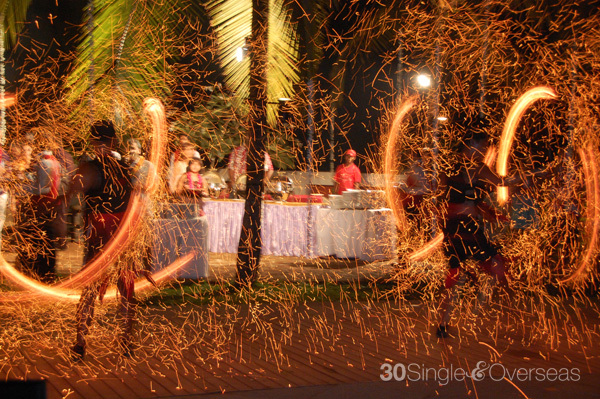 It was done so grandly, I sometimes felt like I was in a Bollywood film. 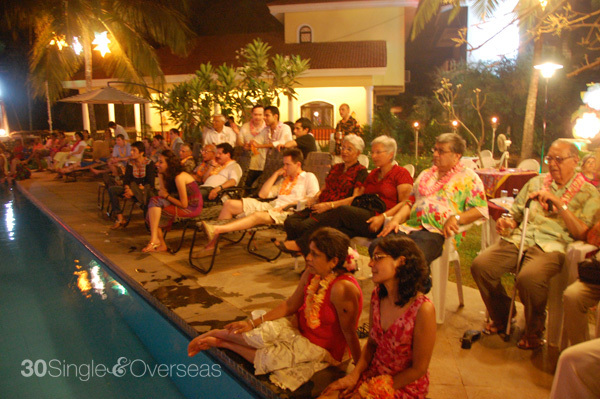 The bride's family arranged for some performers at the pool party. 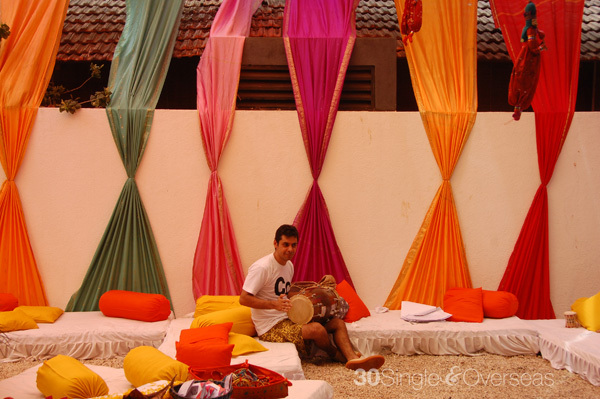 An outdoor area where mehendi was done. "A" won't keep his hands off any musical instruments. 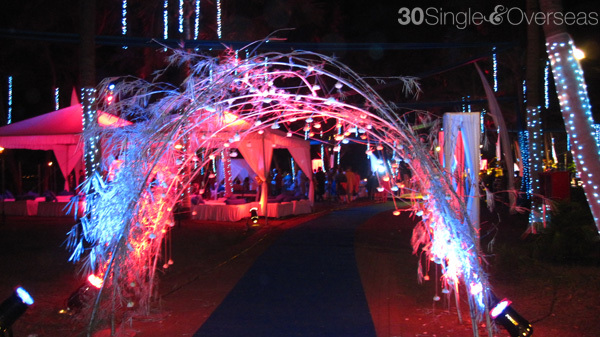 In the evening, a sangeet was held in an open air area on top of a hill. This is the entrance to the party. 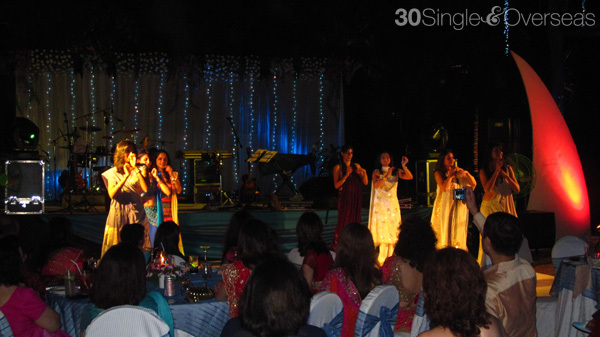 A sangeet performance by friends of the bride. Guys were required to wear turbans. The groom's family hired a professional turban-tier. 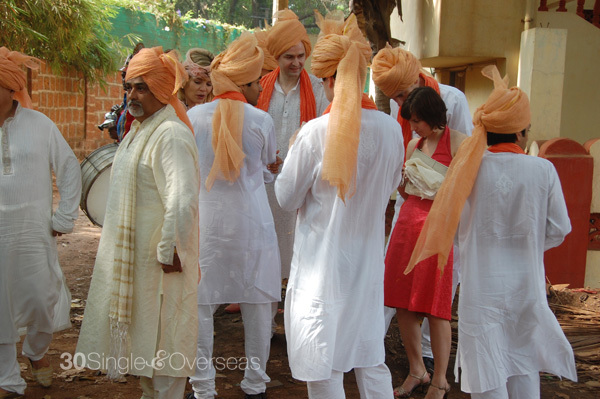 Friends of the groom in turban and Indian outfits. 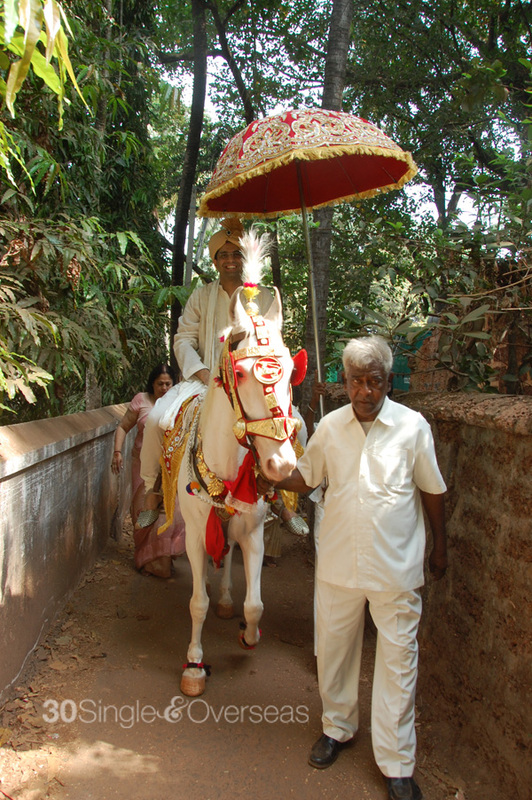 Groom on a horse, about to meet his soon-to-be bride. 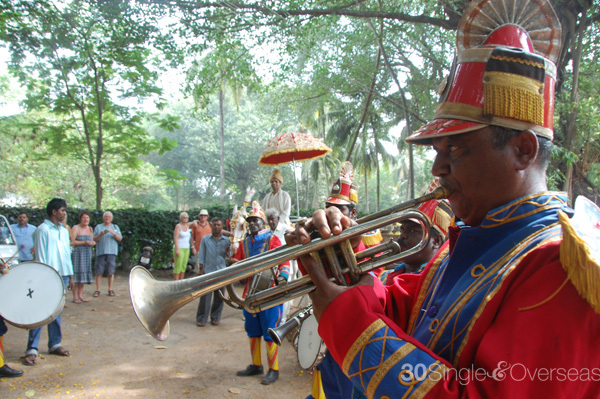 The band plays while the groom enters in a horse. I didn't get a chance to take shots of the newlyweds, but here's one with my soon-to-be family. 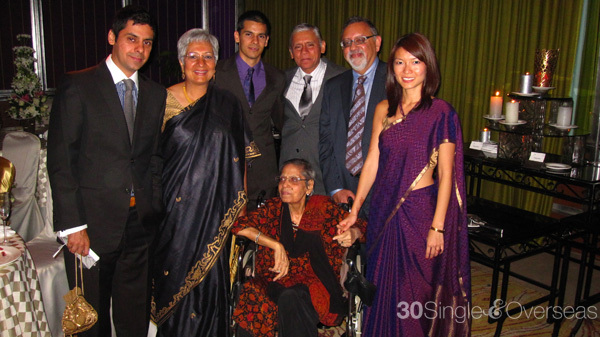 You look really pretty in that sari! 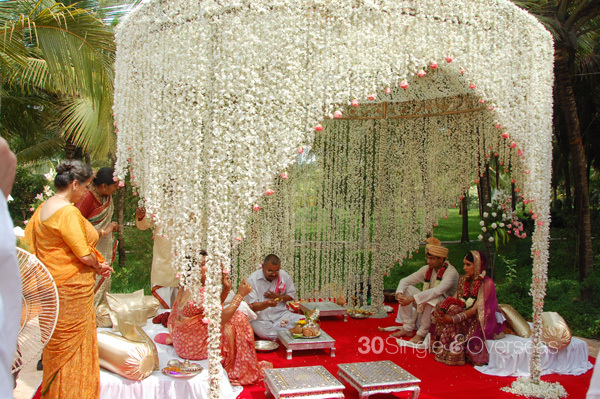 And I love the curtain of flowers around the wedding ceremonial place.